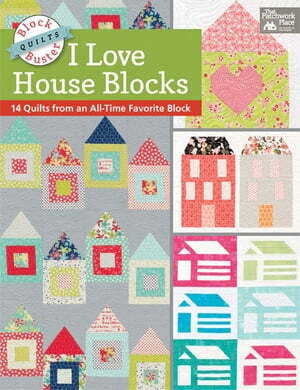 Collins Booksellers - Block-Buster Quilts - I Love House Blocks by Karen M. Burns, 9781604688825. Buy this book online. Make House blocks that feel right at home in quilts that fit your personal style! Go modern, delve into traditional styles, and play with color variations. Top-notch designers--including Carrie Nelson, Kimberly Jolly, Jeni Gaston, Jackie White, Corey Yoder, and Natalie Barnes--have come together to present 14 all-new designs that display the variety and versatility of House blocks. You'll never get enough of these easy-to-customize classics that are perfect for your favorite fabrics. Welcome home, House blocks!